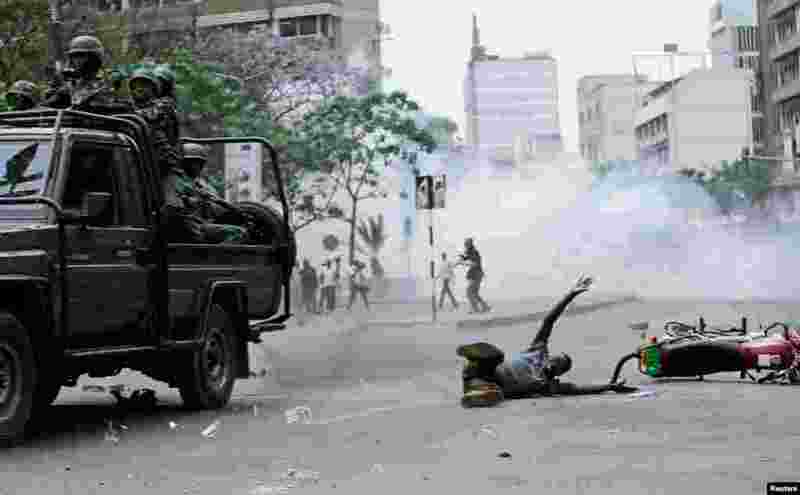 1 A supporter of Kenyan opposition National Super Alliance (NASA) coalition lies on the ground after he was hit by a police truck during a protest along a street in Nairobi. 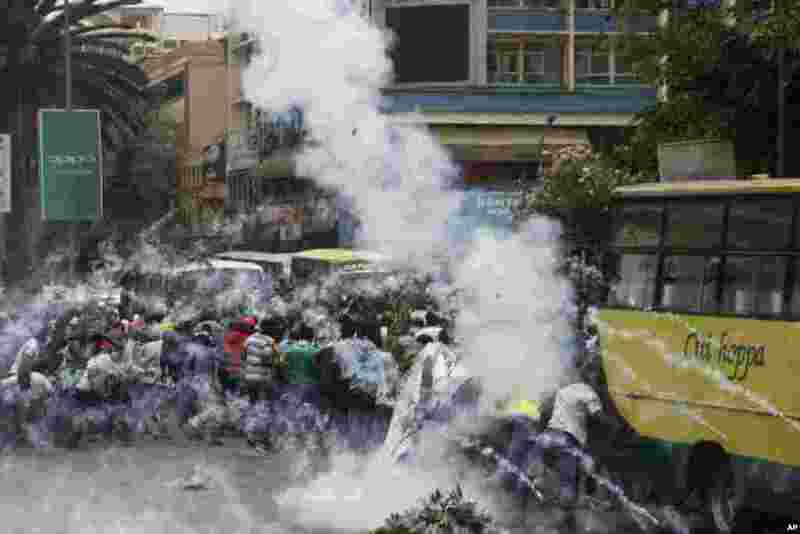 2 Riot police fire teargas against opposition supporters during a demonstration against the Independent Electoral and Boundaries Commission (IEBC) in Nairobi, Kenya. 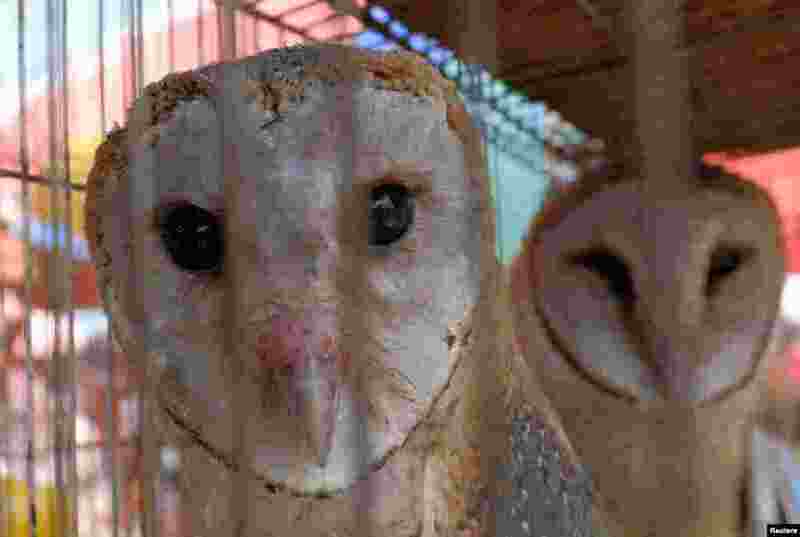 3 Owls for sale are seen inside a cage at a bird market in Tangerang, west of Jakarta, Indonesia. 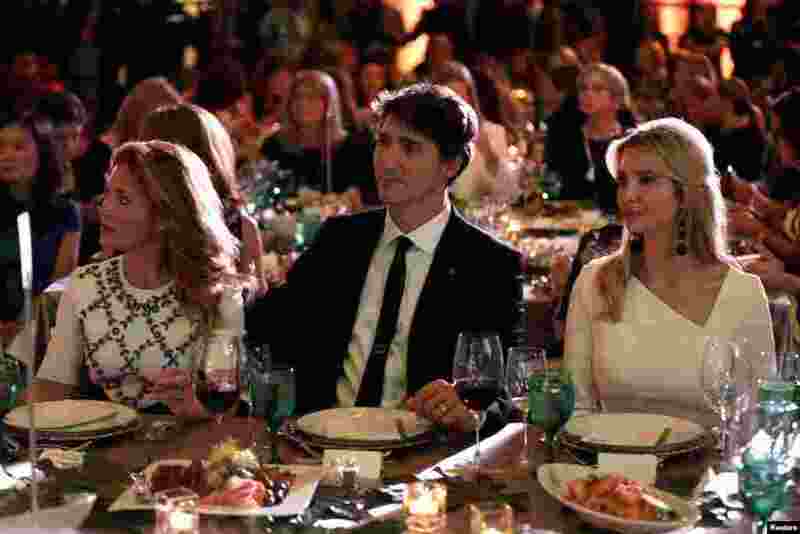 4 Canadian Prime Minister Justin Trudeau, his wife Sophie, left, and Senior White House Advisor Ivanka Trump, right, sit together at the 2017 Fortune magazine’s “Most Powerful Women” summit in Washington, Oct. 10, 2017.